Nothing is better for your tired 'dogs' this summer than Oofos shoes!! I have literally lived in these shoes for the past month! I have never had such comfortable flip flops before. It melds to my feet, provides needed support, is comfortable, and probably the best pair of sandals I have had! This picture is after a month's wear, still looking fabulous other than needing a dip in the river. These shoes are so easy to clean!! When I first received my Oofos they were a bit tight around the strap and I was worried that they wouldn't be comfortable. I kept wearing them and they started to give just enough and before I even noticed they weren't tight at all. I have wore nothing but my Oofos this last month! For the technically minded on why these shoes are the BEST! 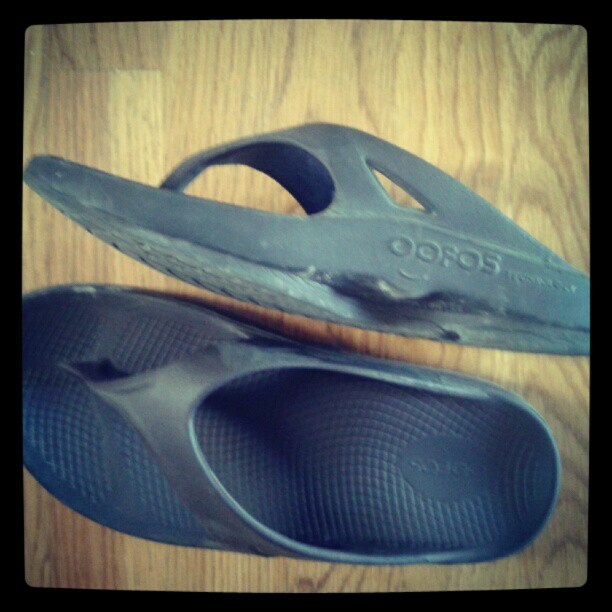 "The OOFOS brand experience is powered by the cutting-edge proprietary material called OOfoam. Our technology is a combination of compound and our patented footbed design. Our unique DNA provides an unmatched OOfeel that's energy absorbing. • Delivers unparalleled cushioning to recharge & rejuvenate your feet." I can not wear cheap, flimsy flip flops. They hurt my feet. I have no foot support and I feel the rocks right through them. My feet feel miserable after wearing them. 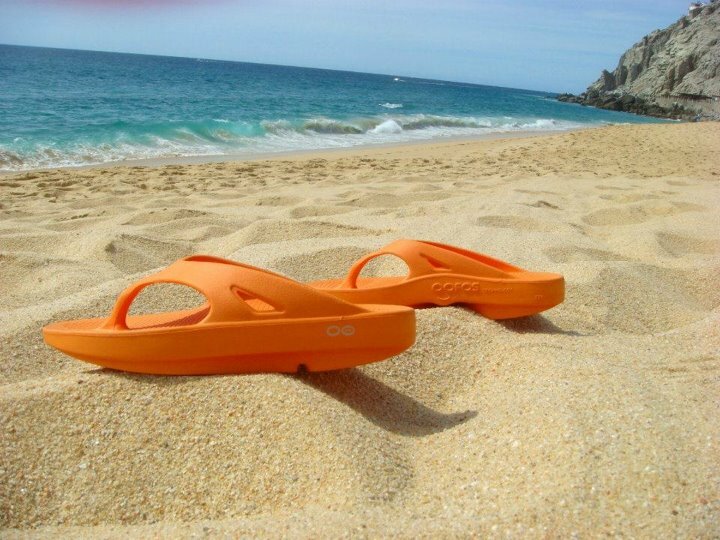 I can wear Oofos all day long and not have any problems!! Oofos absorbs the shock of my feet moving and make for very happy dogs! Oofos is offering one of my readers a pair of Oofos original Thong Sandals!! Use the Rafflecopter for entries. I like them in black and think I could even wear them to be comfortable on casual days at work. My feet are always tired and these would also be terrific for stopping by the beach on the way home. I really like the black ones! Hard to pick, probably fuschia or black. If I were to win, I would choose Mocha! Tangerine is trendy, so I would go with that. I'd pick fuschia. The brighter the better! I would choose black thongs. I would get some in tangerine! I would probably get black. I would pick black! Thanks for this amazing giveaway - I would love to win! Either Mocha or Black... Thanks for the chance! I would pick the Fuschia ones. I think I would choose the tangerine. I would get the black ones. i would choose brown or black. I would have to go with fushia. I would either go with the fuschia or the black ones. I would go with tangerine or black. i would get black! thank you! I'd choose the black ones.